Join us as we guide you through the process of rejuvenating and preventing the absorbtion of toxins through your digestive system with a Juice and Detoxification Weekend. Afterwards you will feel light and energised, eyes and skin clearer and allergies reduced. this process is also excellent for healthy weight reduction and disease prevention. To compliment this process you will be lead twice a day through Kundalini Detoxification Yoga Kriyas, breath-work and meditation to bring the mind and body into balance. Full Board, dietary supplements, teachings, health & beauty info & instructions on special cleansing diet 5 days prior to the Detox Retreat. Praana is our life force Apaana is the energy to eliminate negativity from our bodies. We need to be balanced in these two energies to feel good in our everyday life. 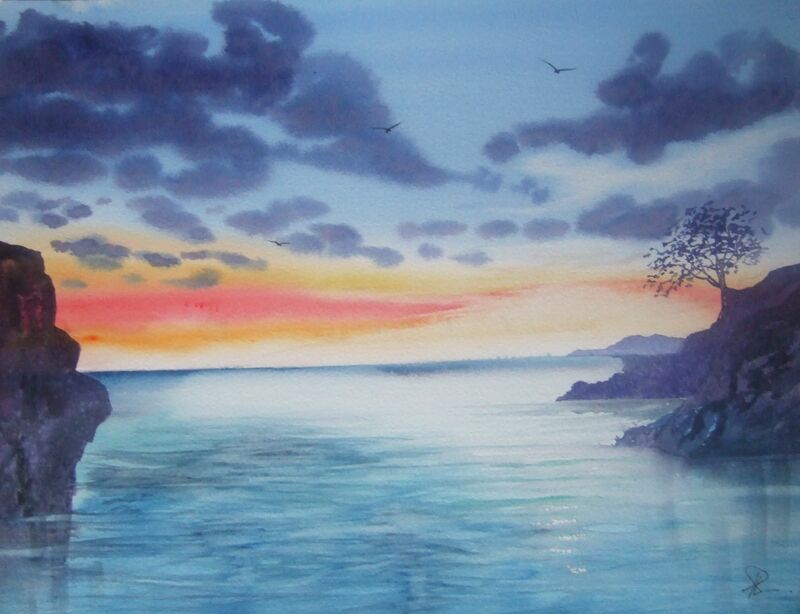 5.00 – 7.30am Sadhana – Japji, yoga asana’s and an hour meditation. 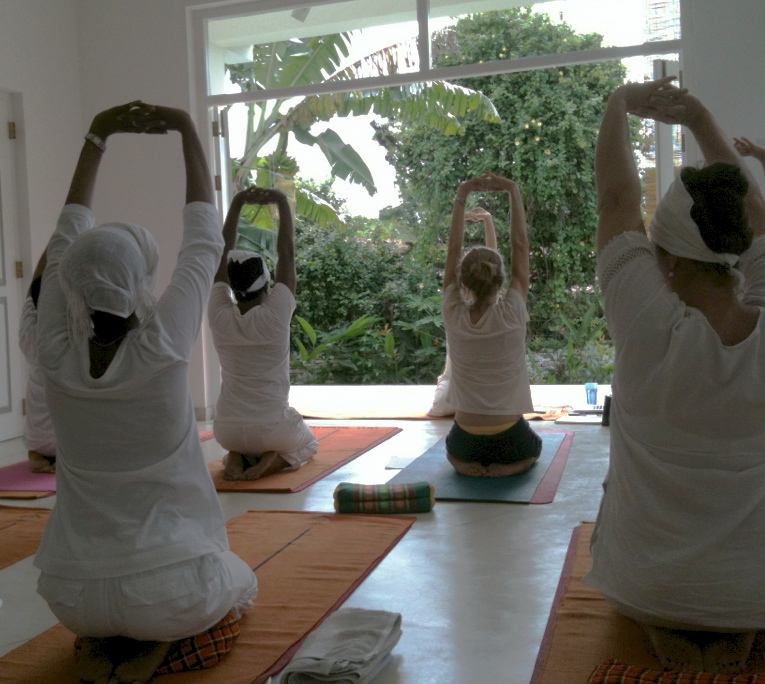 Come and experience a Kundalini Yoga Class and feel both energized and relaxed? Unfortunately we were unable to obtain the supplements from Singapore that were needed to support our bodies during the Detox. If you were interested in this Retreat, please still register your interest by sending us an email and we will let you know when we are able to facilitate the Gallbladder & Liver flush at a later date. Following on from our successful Inner Dance and Kundalini yoga weekend in Feb we are once again welcoming Bek from Singapore to guide us through the process of the liver and gallbladder flush. The process, will begin 5 days prior to the Retreat, and then the full flush begins on Friday 15 March. For more details on the liver and gallbladder flush please have a look at Bek’s blog http://www.ecopackin.com/about-the-flush/ <http://www.ecopackin.com/about-the-flush/> . After this 8 day detox and weekend your body will be feel renewed. Your eyes and skin clearer, allergies will be reduced, you will lose weight and feel lighter, improved overall health to include pain reduction. 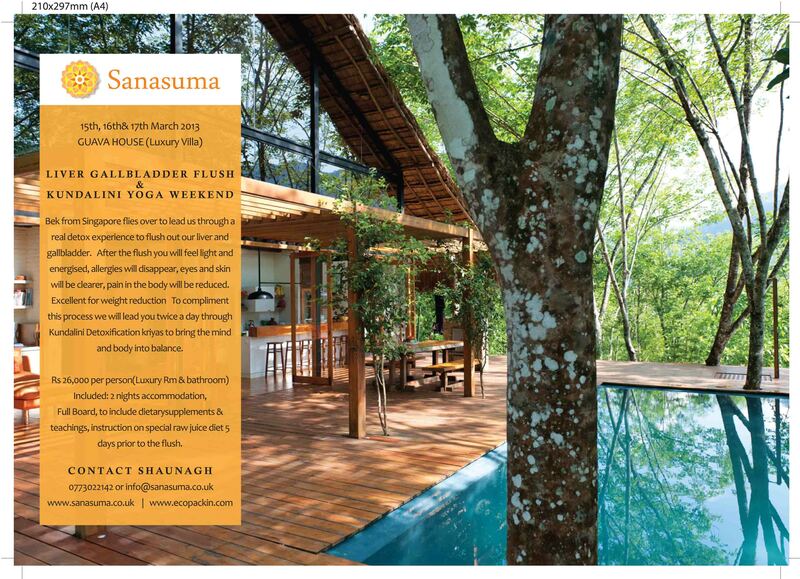 The flush will be supported by doing Kundalini Yoga, pranayama and meditations to help detox the mind and emotions. Venue: Shaunagh and Ranjan have once again been so generous to let us run the Retreat at the luxurious Guava House. Nestled on a hill surrounded by rubber trees, Guava House is a delight to the senses as it is a tranquilliser to the mind. Please note, you will be sharing a room with one other person, each room has it’s own bathroom and a double bed and if you are not comfortable sharing a bed we can provide another bed in the room. Please note you will be consuming raw juices and smoothies for 5 days prior to the weekend. We will send you details of the program and what you need to do when you register for the weekend. There are only 8 places on this Retreat so please let us know if you are interested as soon as possible. If you require further information please contact us. Ring Shaunagh 0773022142, or email info@sanasuma.co.uk. Or reply on this address.